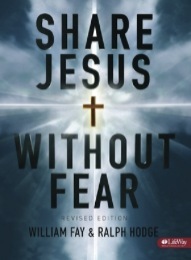 to grow and deepen your faith. Feel free to browse this page to learn more about each study and then sign-up using the form at the bottom, or you can browse through samples in the church media center and then sign-up while at church. ​Our studies vary in subject matter and audience. Feel free to select one that best suites your needs. All studies begin on SUNDAY, JANUARY 18th at 6:30 p.m. and run 4-6 weeks in length. 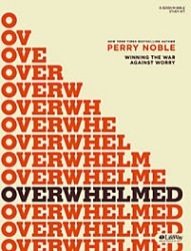 ​​Between financial struggles, family dynamics, health issues, and the typical problems of everyday life, it’s easy to feel weighed down and trapped by our circumstances. It’s tempting to throw in the towel and quit. 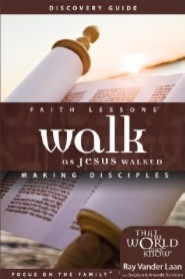 In the Bible study you will earn how to shift your focus from your circumstances to Christ. Participants will walk through a life-altering plan for overcoming stress, worry, depression, and anxiety so we can be free to enjoy the abundant joy-filled lives we were created for. This study will provide an overview of the rich history of the Baptist faith, from its European roots to its practice in modern day America. 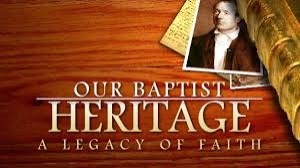 Along the way, we will discover the distinguishing elements of the Baptist tradition (those things that make us Baptists). Special emphasis will be given to Baptists’ contributions to the modern day missions movement, and the establishment and development of the Southern Baptist Convention. Come join us for a better understanding of what it means to be a Baptist. 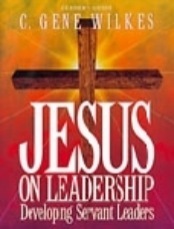 Jesus on Leadership, by C. Gene Wilkes, is a 6-session adult Bible study that leads members of the body of Christ to apply biblical principles of servant leadership to all areas of their ministries. By following the pattern of Jesus' ministry of training people to do kingdom work, Jesus on Leadership helps develop church members into servant leaders. This study has closed. Please sign up for another study. On Wednesday's during our adult Bible Study time we will present this simple and relational approach to witnessing that underscores the dependence of God's power for the results. Birthed out of the life-transformation of its author (former brothel-owner turned Christ-follower), this method teaches believers how to navigate a witnessing conversation in everyday situations. ​This study will help you experience how the disciples translated Jesus’ call to passionate discipleship into language and imagery the Roman culture understood. 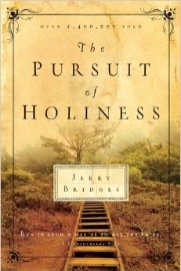 ​Holiness is something that is often missed in the Christian’s daily life. The Pursuit of Holiness helps us see just what we should rely on God to do - and what we should take responsibility for ourselves. As you deepen your relationship with God, learn more about His character, and understand the Holy Spirit’s role in holiness, your spiritual growth will mature. ​This study will answer and clarify the most important questions Christians have about their future eternal home. 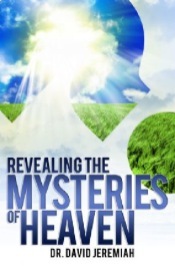 Pastor David Jeremiah provides answers to questions about the nature of heaven, the kinds of bodies heaves’ occupants will have, why heaven will never be boring, why infants & small children will go to heaven, and the dwelling place God is preparing for Christians in heaven.